Summary: Here is the list of top Blu-ray ripper tools for you to convert and rip Blu-ray to AVI, FLV, MKV, MP4 etc. easily and quickly. To experience an amazing theatre atmosphere, now you do not have to take a stroll till the cinema hall nearby. Blu-ray movies have given way to “home theatres” where the quality of the movie is extra ordinary and the sound systems tend to be equally great. You can watch Blu-ray movies even from your smart phones and tablets using Blu-ray players. However, what’s most important is the presence of an efficient Blu-ray ripper software in order to rip the audio and video files to digital formats. This way, you can also make a copy of the movie or video in your computer. Due to the current availability of Blu-ray in mobiles and smart phones, some of the old Blu-ray ripper software don’t work properly in your Mac PCs and some in your iPad or iPhone. Which is why, below is a list of the top 3 Blu-ray ripper software which would be of the best use to your computers. DVDFab Blu-ray Ripper is the most popular Blu-ray ripper owing to its capacity of ripping any 2D/3D Blu-rays to popular 2D and 3D video formats. It is also the very first full-featured Blu-ray ripper software. Ripping can also be done to and from H.265 and 4K videos. The user interface is simple and the speed of ripping is commendable. Moreover, it’s ensured that there is no loss in the output quality, whatsoever. A combination of these features is what makes DVDFab Blu-ray ripper exceptional. It can read almost all kinds of Blu-ray discs, ISOs and folders. You will also be able to witness the newest developments in technology, including Passthrough, HEVC, 4K and much more. Constant updates enrich the software and your experience. It supports batch conversion, multi-threading, multi-core and also the newest NVIDIA VUDA and Intel Quick Sync support. As it is quite user-friendly, you can easily keep a track of the process and the profile is completely optimized with categories neatly listed. You will be easily able to choose one particular profile according to your device. It makes your job much simpler. You can enjoy a 30-day free trial, during which period you can use all the features of the software freely. Pavtube BDMagic proves to be one of the best Blu-ray ripper software currently. It has a simple user interface and it’s useful to create a 1:1 copy or a backup. 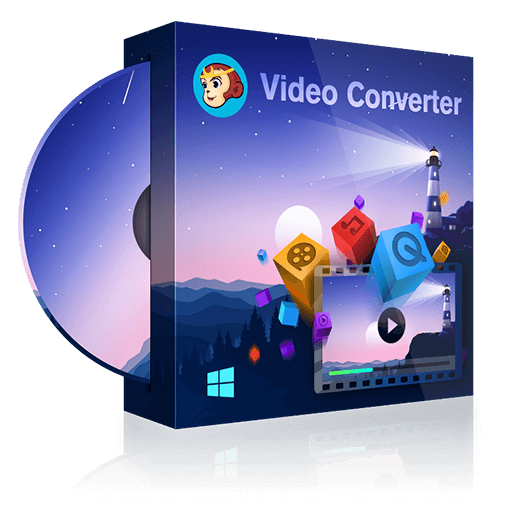 Its main purpose is to convert Blu-ray movies or videos to common formats like MP4, AVI, MKV, WMV, FLV and other formats. The inputs may be anything including 3D or 2D Blu-ray files, Bluray ISO image files etc. Your output can be customized according to your wish. Your main copied file can function well without the interruption of unwanted ads, comments, trailers etc. A lossless multi track MKV copy can also be brought in, with your desired subtitle languages and audio. This 2017 Blu-ray ripper can remove both CSS protection and region code from all profitable Blu-ray discs. This software, being well up to the date, supports a bunch of new movies in Blu-ray currently. This software is quite easy to use owing to its simple user interface. It is ranked by a lot of users as the third best Blu-ray ripper software as of 2017. Its most appreciated and well known feature is the conversion from 2D to 3D. It rips both commercial and non-commercial Blu-ray discs that are protected, with ease. The output files could be in MP4, WMV, MKV, FLV, F4V formats and more. Its trim and crop feature is also magnificent. Relatively, it trims and crops parts of the movie accurately in comparison with other software. It supports more than 18- digital formats and it also has the ability to rip Blu-rays to mobile phones directly. It has a package of 6 different 3D effects. Although the GPU encoding is limited to NVIDIA’s CUDA only, this software is great in ripping several movies in a queue. Go for it! These are the top 3 Blu-ray ripping software that you must definitely try out! Nowadays, 3D TV makes people enjoy fantastic 3D effects at home. But if you have a 2D Blu-ray, you can also enjoy its 3D effects on 3D TV. How? Just convert the 2D Blu-ray to SBS 3D video. If you have a 3D Blu-ray but do not have a 3D Blu-ray player, you can also enjoy the 3D Blu-ray movie on your 3D TV only if you convert the 3D Blu-ray to SBS 3D video. So what is SBS 3D? Now please follow me to have a look. This article shows you how to play Blu-rays on PS4 and how to rip Blu-rays to PS4 compatible video formats for free playback on PS4.